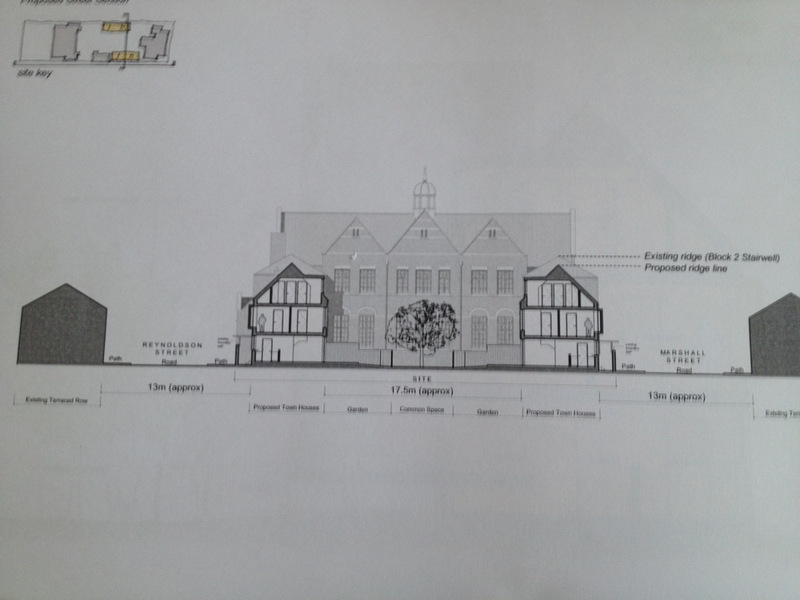 The plans for the former Newland Avenue Primary School have now been revealed by the Hodson Architects to the public and suggest if they are approved by the Hull City Council Planning Committee as they stand the school will be converted into private residential accommodation to accommodate up to 158 people! The Architects from Hodson who I spoke to suggested that Hull City Council could have included restrictions into the sale if they wished to retain any of the community spaces, gardens and sports facilities. Instead the developers have been given a free hand and appear to have crammed as many people as possible into the site with loss of all the community space, sports field and all the existing trees and communal gardens. No one from Hull City Council or the Developers were available fro comment whilst I attended though postcards were available with a small box for comments. 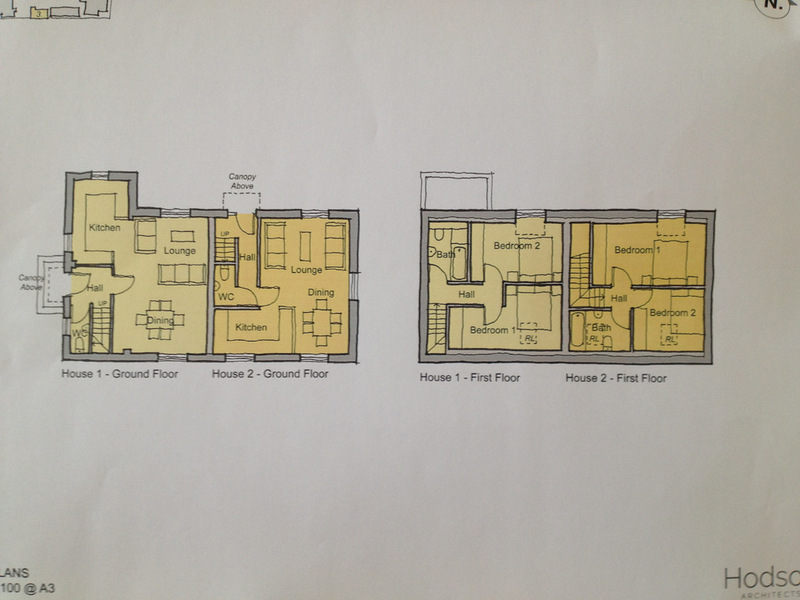 26 Dwellings and 8 Townhouses for sale freehold starting at approx £50K for a one bed flat. 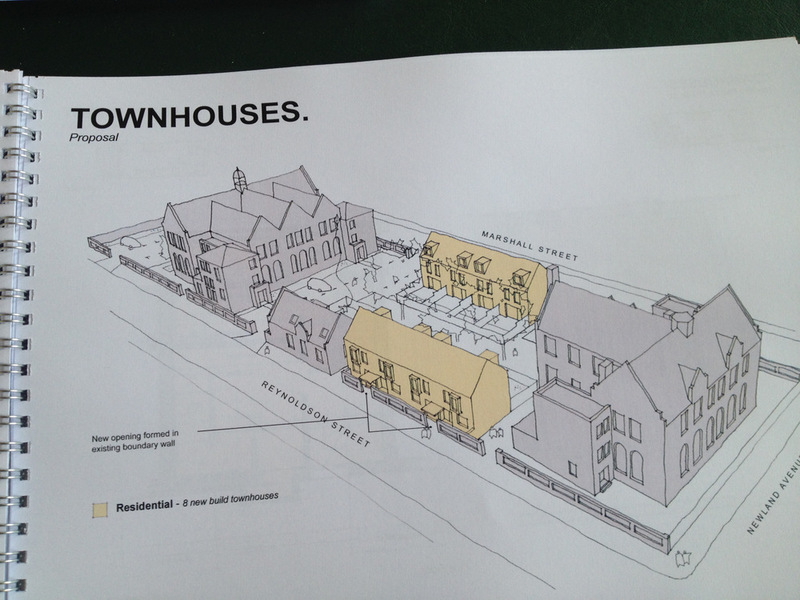 The Garden and Amphitheatres: All trees cut down and 8 x 3 Bed Townhouses (4 on each side) with terrace and private garden with a narrow central shared walkway between them with new trees planted down the middle. 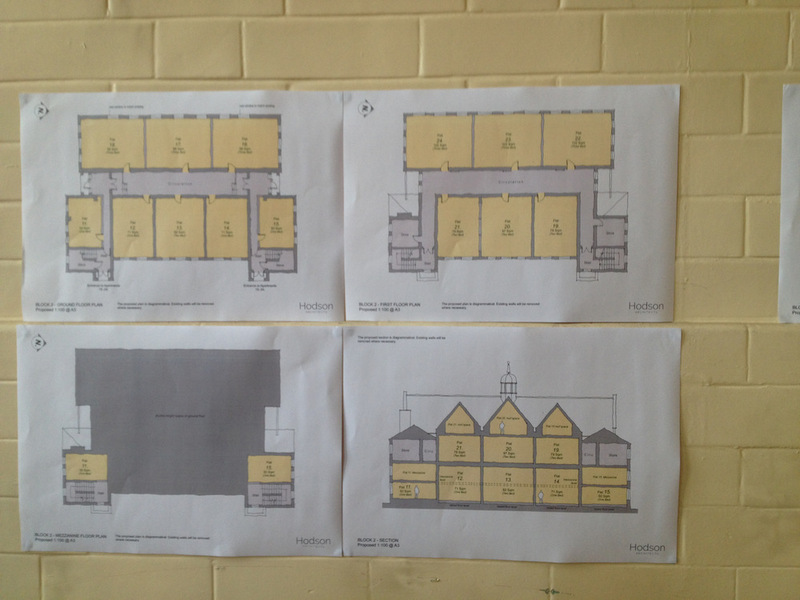 The old community centre will be converted into 2 x 2 Bed dwellings. The All Weather activity field and the Car park will become a gated private car park with 49 spaces accessible with a resident’s key fob. Spaces to be first come first served. In total I make this 79 Bedrooms which could accommodate 158 people. There is no retention of any community space and no mention of any way the community will be recompensed for the loss of the open green space, the youth club and space for community groups. 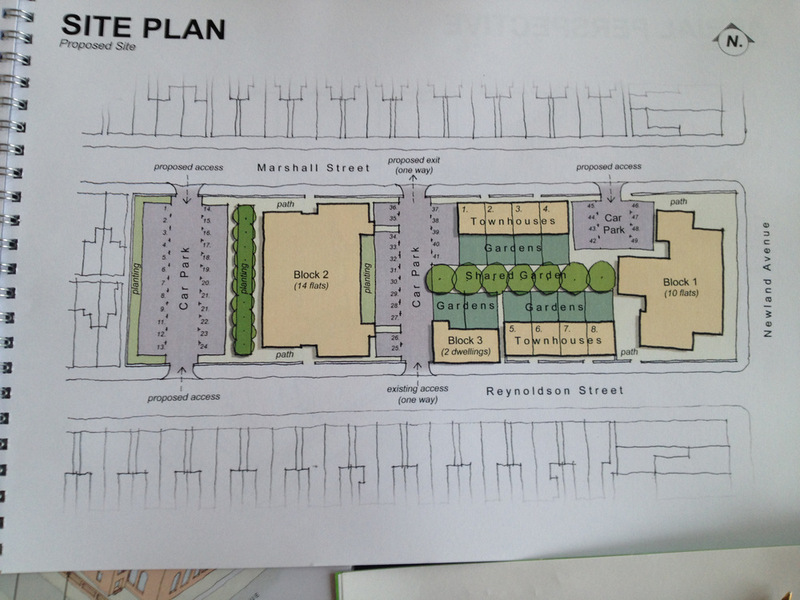 Although the failure of any retail units to appear on these plans will probably be welcomed by those who suspected the main hall at the front would become a bar there was widespread concern from local residents about the impact on traffic and parking in the area with so few parking spaces despite the loss of two large areas of open green space. 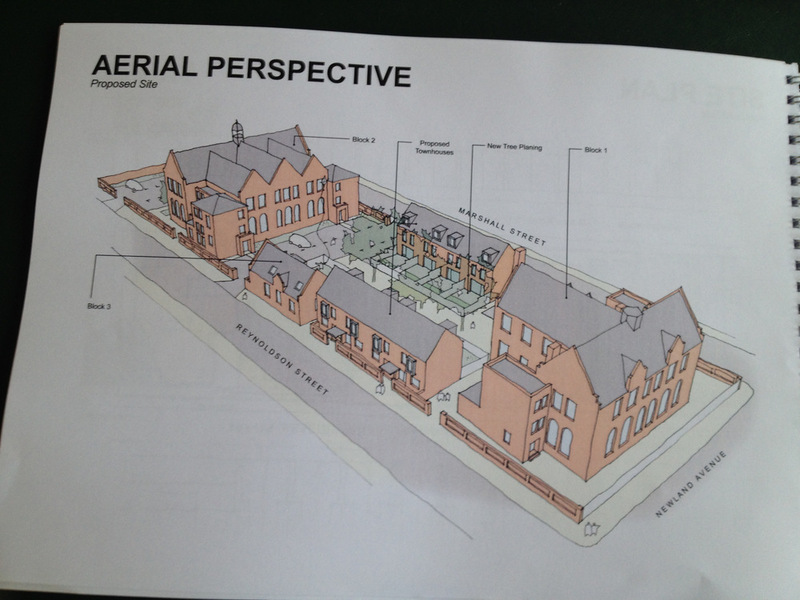 The developers intend to submit completed plans to the planning committee shortly and it is now time to start drafting your thoughts about the proposals and how they will impact on the area and the community in and around Newland Avenue. If there is interest I am happy to arrange a public meeting to discuss how we can approach the planning committee stage.